One complaint that is lodged against pouch styled cases is that some lack sturdiness. Nite Ize addresses this issue really well with their Nite Ize Backbone Case ($15.95) but in giving these cases a little fortitude, is functionality compromised? The Backbone Case is a large zipper case with plenty of interior room. Nite Ize reports that the case is compatible with almost every smart phone ranging from the Motorola Q9 to the Treo line to the BlackJack II. 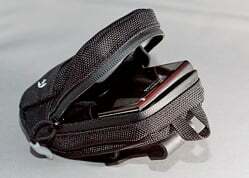 It can also be used to carry some handheld GPS units, small two-way radios, and some small cameras. The Backbone attaches to your belt by means of a plastic, swivel hook that keeps the case secure on your belt. 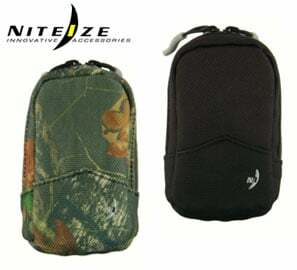 The case has a strong, water resistant zipper that holds the case’s contents securely in place. The case is large, measuring 6.75” long, 3” wide and 2” deep. It sticks out considerably from your waist and is a little awkward for every day use. It does ride comfortably but it is bulky. The case gets its namesake from the hard back side of the case or the “backbone”. The rigid back side of this case offers a good bit of protection for the phone and gives the case a sturdy feel to it. Where the Backbone shines is when you need to take your phone on a day hike, bike ride, or other outdoor activities. The shell is made of a heavy, cordura like fabric and offers a level of protection more suited to the great outdoors than your average leather case. The case is roomy enough to let you carry a credit card, driver’s license, door key, money, etc. along with your phone. It is lined with a softer fabric and there is a small pocket inside to act as a separator. The Nite Ize Backbone Case ($15.95) is a specialized case that is well constructed and offers a good bit of protection for your smart phone. 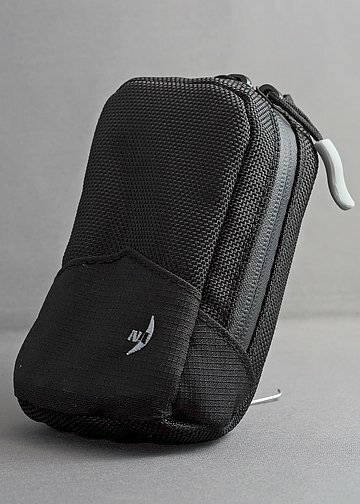 It’s not something that I’d wear with a suit but if you’re doing outdoor activities, this case is well suited for hikes, biking, camping, fishing, and other such activities.